Whatever it is you like to spend your free time doing, you will find the choices endless on the Costa Blanca, from theme parks, water parks, aquariums, zoos, bustling cities, tranquil mountain villages, wine tasting, water sports or just enjoying the local markets. As you are discovering the delights of the towns and villages you should find that each town has its own museum, telling the history of years gone by, you can learn about the local produce, fiestas and customs. Costa Blanca ´s largest theme park. Thrills and spills for all the family. Take a splash on the Falls of the Nile, a flight on the Phoenix and with more shows than any other theme park to chose, this is a highly recommended day out. Located just north of Benidorm with easy access from the A7 motorway. During the summer months the park is open late into the evening. Marine and exotic Bird Park. Take a journey and discover a new world of exotic marine life and animals. Here you can enjoy the daily shows with Mundomar dolphins and sea lions, get to know the pretty parrots and delight in the unique movements and behaviour of the penguins. Check out their website for some excellent directions. Situated next to Mundomar you will find the amazing water park Aqualandia, with 12 smimming pools in total and 17 different slides, if you like the water you certainly won’t get bored. Thrills and Spills with their newest attraction “The Black Hole” designed for two riders, for those who dare to discover the unknown!!. There are plenty of smaller attractions for the younger and less daring as well as 75,000m2 of gardens to get comfortable in. The newest attraction in the heart of the historic city of Valencia, Oceanographic is just one of the attractions within the Centre of Arts and Science. 42 million litres of salt water …interesting exhibits within the ultra modern surroundings, the largest dolphinarium in Europe, visit and explore the oceans of the world. Visit one of the most visited towns on the Costa Blanca and be transported back in time, dating back to 715 when the moors settled here and gave it its name. The inhabitants of Guadalest devote themselves to the tourism of their town, the traditional source of income of the village, with a large number of gift and craft shops and museums. 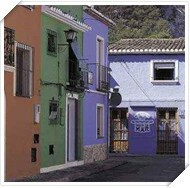 Jalon known as the vall de pop or to the locals the valley of wine, with plenty of bodegas (wine cellars) to chose from. If you want to taste the wine then remember that the Bodegas do tend to close at about 1pm for the siesta time. On a Saturday Jalon lays claim to one of the largest and most famous “Rastros” (boot sale) on the Costa Blanca. Visiting the medieval town of Bocairent is a delightful way to spend the day. The town in fact is built in rock with many of the houses having to be entered from the second or third floors. Once you enter the medieval quarter you will feel as though are you taking a walk back in time. A must is to visit the local church (Virgin of the Assumption), it over looks the town and the interior is spectacular. You will find some walking tours and maps on this website. The history of Juan de Borja the second Duke of Gandia still reins within the city, a visit to the Dukes Palace in the city centre will provide you with the knowledge of the rich heritage and an insight into old Spain. 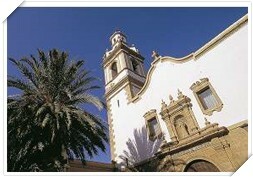 Another aspect of Gandia are the modern sophisticated shops, tree lined paseos, parks and squares. Only three kilometres from the city centre you will find the port and the spectacular 5km beach which boasts a wide promenade furnished with palm trees. 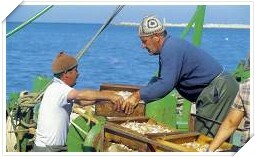 Tabarca Island is the only inhabited island of the Costa Blanca and has been declared a Natural Marine Reserve. The Island can be reached from Santa Pola or Alicante Port, there are regular trips leaving the mainland every day and the journey will take approx 30 minutes. When you reach the Island you will disembark at a minute little port, the crystal clear waters will amaze you as you will be able to see some of local marine life. This is a very popular destination for snorklers and scuba divers. The Island is just 2km long and 400m wide. 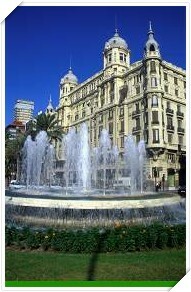 There are a handful of bars and restaurants to chose from however all are famous for the fresh fish dishes and paella. Pego celebrates 725 years since King Pere III of Aragón signed the towns Carta Pobla. The market town of Pego has many facilities including traditional restaurants serving local cuisine, typically Spanish tapas bars, a good selection of supermarkets and shops, a newly built heath centre, outdoor communal swimming pool and an almost complete indoor sports centre. Pego has some wonderful surrounding countryside, situated between orange grove, rice fields and picturesque mountains and being only 6km from the nearest beach has something for all outdoor lovers. Travelling from the Oliva Coastline towards Pego you will find a natural park which is home to some wonderful birdlife, herons, kingfishers and often seen circling above are eagles and ospreys. The Parks irrigation is fed by 4 local rivers which feed the 1250 hectares of rice fields. It a wonderful peaceful experience getting to know the different walking or cycling routes the park has to offer, bird spotting along the way. Most of our properties are just a short bus or car ride from Denia where you can take a high speed ferry to any one of the Balearic Islands, with Mallorca and Ibiza being two of the largest and most popular for day trips or for holidays. The timetable between mainland Spain and the Balearics is frequent and efficient making a great day out or long weekend all the more accessible. With the cool spray from the Mediterranean and the outstanding coastal scenery, sailing along on the Costa Blanca is an excellent pastime. This popular sport with many British people also has a large following in Spain, with many clubs and regular competitions, if you have an interest in bowling it will be easy to find teams in your area. Click here for more information.